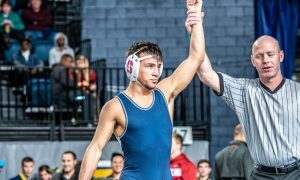 This week’s college wrestler of the week Anthony Ashnault earns the honor after going 2-0 this week for Rutgers. 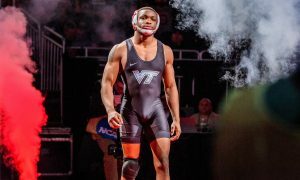 Anthony’s weekend got started on Friday night with a 16-1 tech fall over Nebraska’s Jordan Shearer. 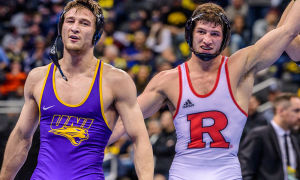 It was his second match that really secured the honor for the Scarlet Knights 149 lber. 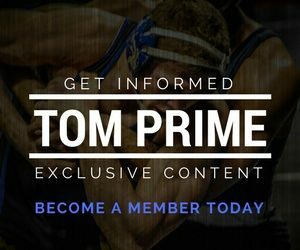 On Sunday, 14th ranked Rutgers hosted in-state rival Princeton, who entered the match ranked 15th and featured the top-ranked wrestler at the weight class Matt Kolodzik. Both Kolodzik and Ashnault came into the match undefeated and ranked number one and two at the weight. The match was one of the most anticipated single bouts of this college season. Anthony’s started his scoring off against Kolodzik with two near-fall points after a pancake early in the second period. Once the Tiger escaped, Ashnault picked up a takedown and the rout was on. The third period featured another takedown for Anthony and a second set of back points which resulted in a 10-2 major decision. 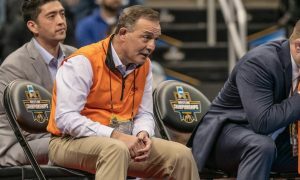 In the lead up to the dual, Princeton head coach Chris Ayres mentioned that he did not think Ashnault would be able to score on Kolodzik. As time expired in regulation, Ashnault held ten fingers towards the Princeton bench, as he had obviously read the quote from Ayres. 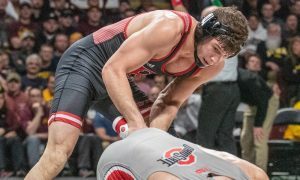 The two wins by Ashnault bring his 2018-19 record to 19-0 and he will become the new number one wrestler at 149 lbs when the national rankings are released on Tuesday. 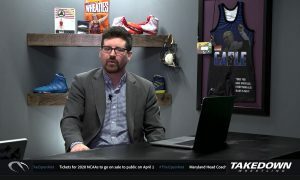 Provided Kolodzik moves to the number two ranking, Anthony will have already registered wins over the second, third (Micah Jordan – Ohio State), fifth (Kaden Gfeller – Oklahoma State), and sixth-ranked (Mitch Finesilver – Duke) wrestlers at the weight class. 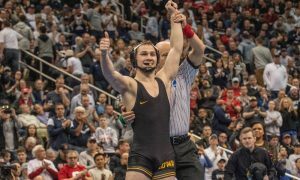 The major decision over Kolodzik is now the 14th bonus point win of the season for Ashnault. The win now moves Ashnault ahead of Kolodzik in their head-to-head series, three matches to two. This is the second time during the 2018-19 season that Anthony has earned college wrestler of the week honors. 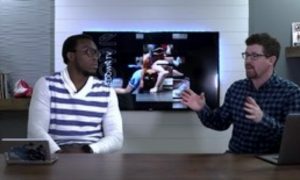 He received the recognition during the week of December 3rd after winning the Cliff Keen Las Vegas Invitational. At that event, Ashnault handed Jordan his only loss thus far in the 2018-19 season.